A rare opportunity to build your perfect dream beach house on this one of a kind lot! Located just steps away from the beach in the coveted Jupiter area. This lot is one of a select few in the private enclave of Maisons de La Mer, which translates literally to Houses of the Sea. 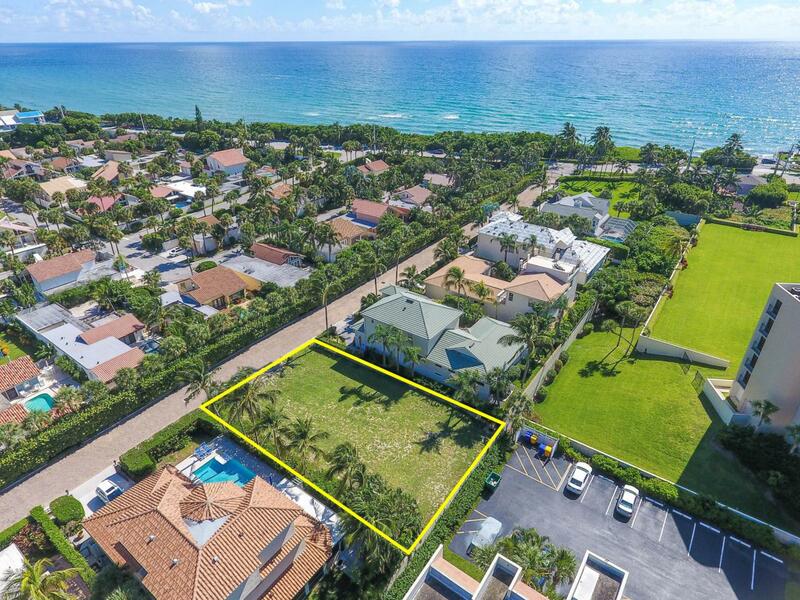 This private beach side street is a gated, paver-lined stretch of just 8 luxury homes. Enjoy the best of Jupiter living steps from the Atlantic Ocean, Juno Beach Pier, Carlin Park, waterfront fine dining, boating, kayaking and more. Build your oasis here and take advantage of the perfect Florida lifestyle while never missing a sunrise over the ocean or the breezes on your balcony. View the 360 degree Virtual Tour to experience the space and views from multiple different heights! No better value for locationanywhere in Palm Beach County and Martin County. Additional $177.00 a quarter for pest control and lawn control until home is built.